different for a cure for the winter blahs. Comes with it's own real Birdie Chirps! 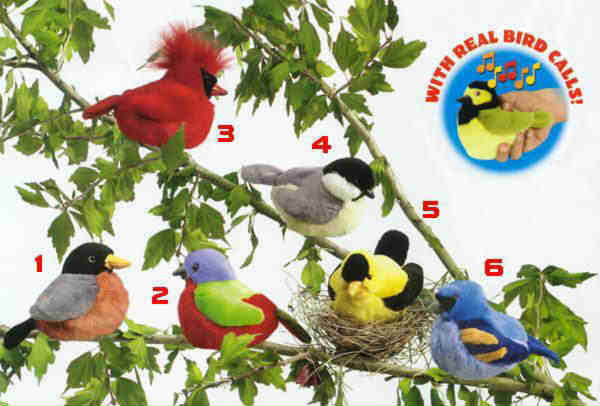 The stuffed plush Goldfinch is # 5 in the picture below. More stuffed toy birds than you can shake a stick at. And all of them at really nice prices than anyone can afford.